Earning an MBA teaches you the advanced skills, theoretical perspectives and strategic approaches you need to excel in a leadership role for a wide range of businesses. The degree also puts a noteworthy line on your resume when you’re ready to take the next step in your career. Of course, it takes more than those three letters to capture the attention of hiring managers and get the most out of your credentials. Injecting prestige into your resume calls for making the most of your educational background and experience. Show potential employers your most impressive qualifications and give them a sense of the unique point of view you’ll bring to a role. 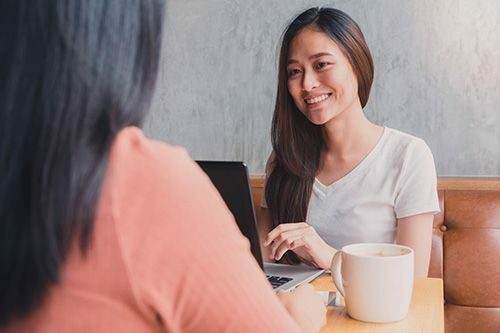 These four steps will give your resume the chance to stand out, so you can make your graduate degree count in your job search. An MBA demonstrates a high level of achievement and dedication. However, just noting you have a degree does not tell employers the specifics of what you’ve learned from your training. In the Skills sections, your resume should make apparent how the education you’ve undergone has readied you to take on pressing business challenges. Be explicit about the qualifications you’ve developed while working toward an MBA. Mentioning a combination of technical and soft skills, like particular software or hardware tools you mastered and languages you’re fluent in, can make your resume stand out. Tailor the keywords you include to suit what organizations are looking for while accurately representing your abilities. Companies are always looking for individuals who are creative problem-solvers with leadership and communication skills. Listing accomplishments that show you work well with others and think analytically will make you a more attractive candidate for many positions. In laying out your skills, consider the critical and strategic thinking necessary for leading a team to complete a project, giving important presentations or instituting a successful change to business processes. Hiring managers will want to know you’ve mastered the strategies and tools that will matter in your next role. They need to see evidence that suggests you have the necessary background to flourish and bring measurable improvements to the business. Prove you can apply what you’ve learned by seeking out jobs, internships or volunteer opportunities that will combine with your MBA to make your application truly shine. Providing details about your experience on your resume demonstrates how you have built up that experience and put your skills into action. Give clear, specific examples of how you used the precise abilities that will be important for moving forward in your career. Quantitative evidence that shows how you helped a team or organization improve its overall performance is always the most compelling way of getting that point across. Of course, an MBA degree is also an example of your expanding skills and knowledge. Daniel Wright, PhD, vice dean of the Villanova School of Business, explained in a post to LinkedIn Pulse that many professionals pursue an Executive MBA to take the next step in established careers. Exploring further education is a way of embracing new skills and taking an active role in a changing industry. In these situations, an advanced degree can grant further depth to individuals who already have an impressive breadth of experience. Business tools and strategies are constantly changing with the times. Your resume should show that you have the knowledge and flexibility to keep up. Mention particular skills that you have developed both in school and from on-the-job experience, whether from adapting to fresh work responsibilities after a promotion or working with a new software program. Consider which additional certifications might be useful in your intended field. Having the initiative to seek out further training makes your resume look better in comparison to other candidates. Plus, mastering relevant skills and technology positions you to take on expanded duties in the future and continue advancing your career. Stay abreast of the latest thinking on business leadership and management strategies. Reading new research in the field will help you to keep your resume in line with the best and most cutting-edge thinking. When you get to an interview, you’ll be prepared to give stronger, more informed answers about how you can play a leading role in progressing the business. Not all MBAs are created equal, and employers notice where applicants earned their degrees when sorting through a stack of resumes. Attending a school that is known for rigorous, innovative training may make your candidacy more attractive to hiring managers. That means it’s vital to take care when you decide to make the investment in advanced business education. Do your research before you commit to a school. Look for an MBA program that’s oriented toward educating students in the skills that drive improved leadership outcomes and financial performance, going beyond a knowledge of key technical principles to train students in effective communication, delivering consistent results and inspiring the best out of a team. Your path to the MBA should be tailored to suit your personal career goals, whether those lie in finance, analytics, marketing or strategic management. By the time you start your first course, you should feel confident that you’ll be reaching a meaningful return on your investment, both in terms of what you’ll learn and the future that awaits you afterward. Find out who the professors are, what challenges you can expect from the curriculum and the advancement that has followed graduation for past students. To achieve your goals, you want to be taught by internationally recognized experts, learn from real-world examples as much as abstract concepts in a textbook, and have ample occasions to work and connect with a team of your peers. If you are looking to combine a top-tier education with flexibility and convenience, a Villanova online MBA may be right for you. Villanova University’s Online MBA program provides the same world-class grounding in business principles and practice as attending classes in person, while working around your schedule. Visit the program page to learn more, find out how to apply and take the first step toward creating a more remarkable resume.